READ BY PHILL JUPITUS. 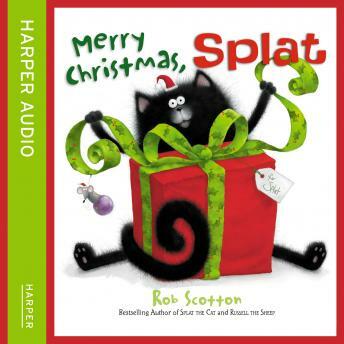 Splat the cat can't wait for Christmas and is SURE he's been good enough for Santa to bring him all the presents on his Christmas list. But just in case Santa needs reminding of what an exceptionally good cat he is, Splat makes himself EXTRA helpful around the house. It's tiring work being helpful, but when Splat goes to bed on Christmas Eve he's kept awake by a worrying thought... Just how good do you need to be for Santa to visit? A charming Christmas story perfect for any eager child awaiting Santa's arrival.